I came across this on my Facebook feed and the simplicity of it is amazing. One word. 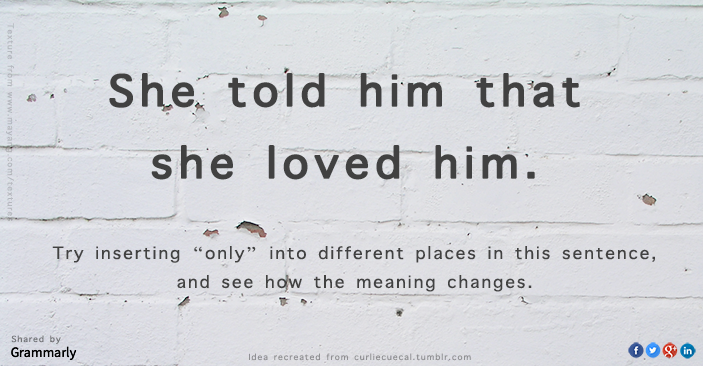 One solitary word, properly placed, changed the entire sentence. This one struck me particularly because I just rearranged a sentence and turned it into a terrible and wonderful thing. And what a feeling that was – it was like I turned a light on in a room and saw the stranger lurking in the dark corner. It changed everything and led me somewhere new. What a difference a word can make – when properly placed.